Hope I'm not stealing Cyclelicious' thunder by posting this. That's where I usually get my celebrity bike news. The buyer at one of our distributors, Hawley, spotted this last night. "Looks like she has a brass Crane Bell, maybe." he wrote. Funny, at the end she goes "Yea, I'm Gaga. Ring-Ring! (imitating a bike bell). The part she talks about riding her bike in NYC is at the 38m:45s mark. She and her friend named their bikes "Karen" and "Henry" after characters in Good Fellas. Where Are You in the Silly Bike Commuter Food Chain? Silly Commuting Racing (SCR) makes every day a race day, every commute a challenge, and every other rider a potential competitor. 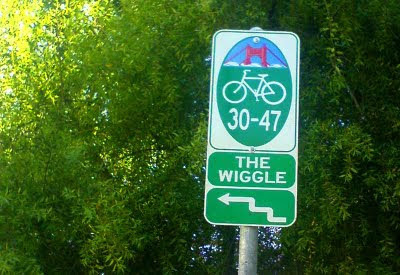 This is a public service announcement..
sponsored by the good folks at Do the Wiggle"bike route to the stars"!. 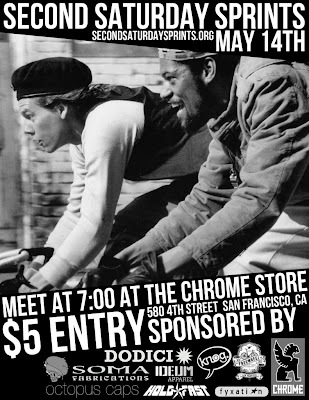 Calling all you Bay Area cyclists, this Sunday at Duboce and Steiner (Wiggle launchpad) at 2pm, a motley(think tree bikes with speakers and bubble spewing bikes) crew is gathering to shoot a PSA promoting The Wiggle. They are calling for more cyclists, you too could be a star on the small screen! Come to support The Wiggle, come for some excellent people-watching, come because its supposed to be sunny! Check out the Do the Wiggle website, its pretty awesome..has a really cute, catchy(maybe too much so) ditty about The Wiggle that should inspire you. We are currently migrating from the Group format to a Fan Page format. Facebook prefers pages of brands to be on a Fan Page. Also the group format was not designed to have hundreds of members. So they are going to "archive" the Soma Users Group "in the coming months". As you know when you become a fan the posts we make on our page automatically appear on your wall. If that gets annoying, you can always turn it off. But we really don't post that much. So what does this mean to you Facebook users? We ask you stop joining the Soma Users Group. Instead just "Like" us on our fan page. 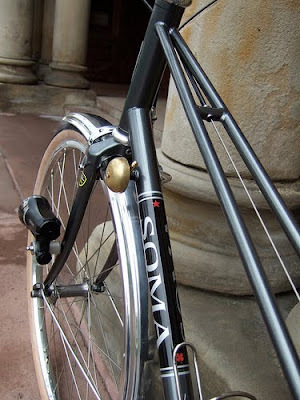 Also tag your photos of your Soma bikes to the Soma fan page instead of the Soma friend page. We surprised the first "Liker" and the first "Poster" to our new page by awarding Soma Woodie tools for their prompt response to our request. We don't want to bribe folks to like us, but I won't rule out more surprises as we hope to surpass the current amount on our Group page. Our friends at IRD just sent us this 50.4 BCD TA/Campy-inspired retro-crank. 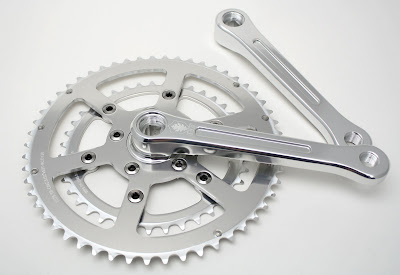 The chainring sizes are 53/39. The chainline is 43.5mm and the BB axle length is 115mm. We're thinking about carrying them in the SOMA store..would they tickle your fancy? Velouria, author behind the popular Lovely Bicycle! 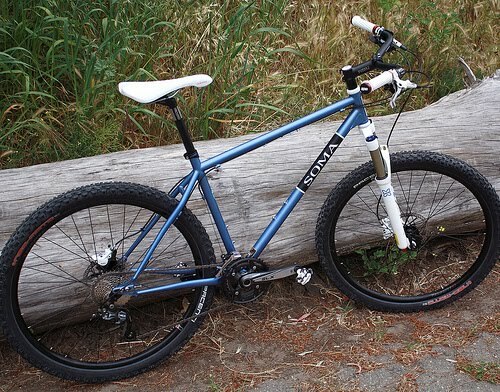 blog reviews the Buena Vista built by Somervillain for his wife. It is a classy build with some unique parts choices for sure. In-depth review...check it out. We are pleased to be supporting this new monthly local event. Second Saturday Sprints is a monthly race started by Martin Galvan, Rene Lopez and Errol Sabinano. 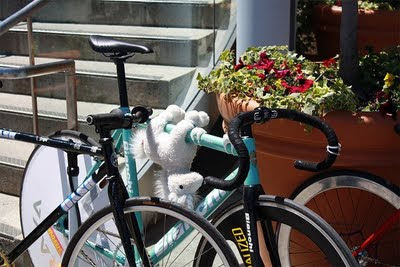 We are all roommates in the Mission District of San Francisco and like to ride bikes. These races will be held every second saturday of the month. We just wanted to get people together to have fun and to share their love of cycling with us. 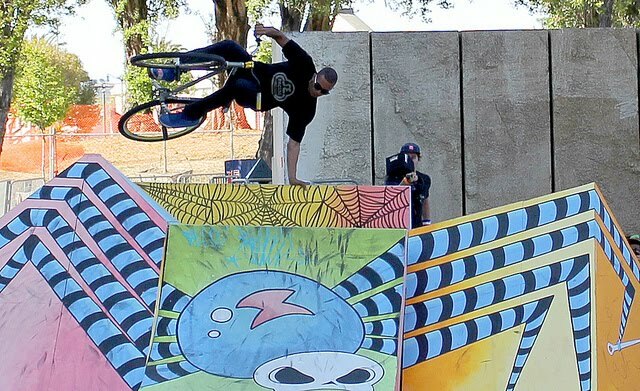 The Red Bull Ride + Style was a fixed gear event like no other I've been to. Sure there was racing and trick comps, sure there were bikes, bikes everywhere of all shapes and colors. But since Red Bull picked Justin Herman Plaza, it drew a very diverse crowd. Some fans were new to riding fixed gear and never heard of any of the competing athletes at all. Many were not cyclists at all. You got tourists and just locals who came to enjoy the Embarcadero, the arts and craft fair and the farmer's market. It felt a little more like the expo at the SF Grand Prix a while back. At one point I was viewing the trick comp next to a 50-ish year old couple who were into it just as much as everyone else. And the crowd just generally thick for most of the day. Good job Red Bull. PAKE BIKES - THANK U JASON from somafab on Vimeo. For a list of the winners go here. Cutest top tube pad ever. 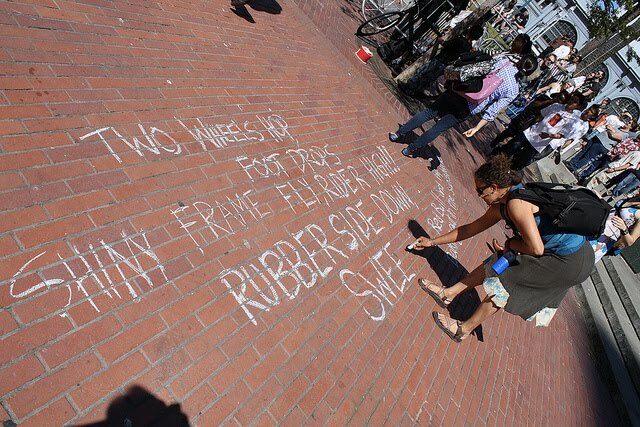 bike haiku. More pictures here.